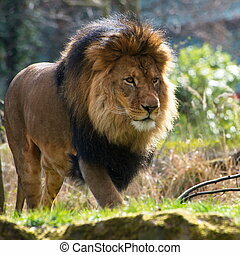 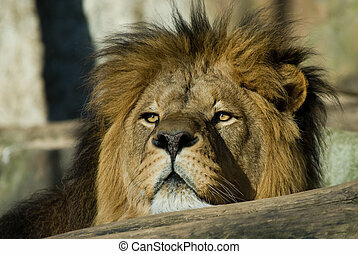 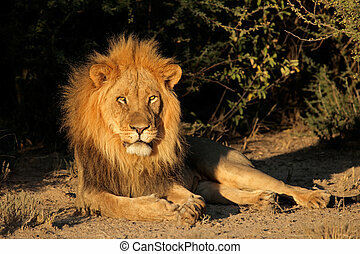 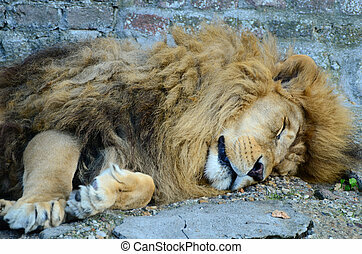 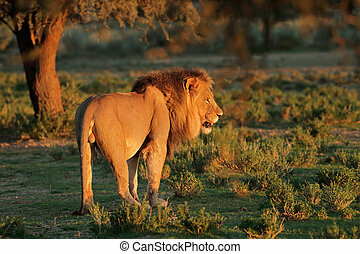 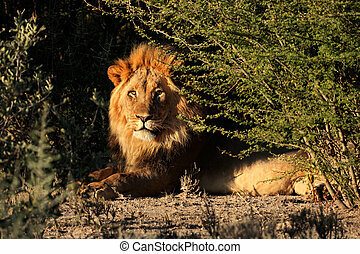 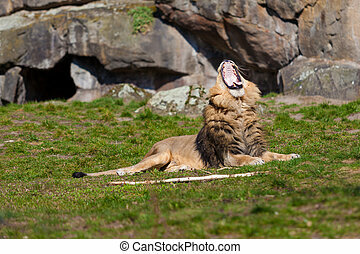 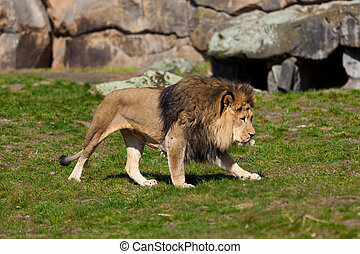 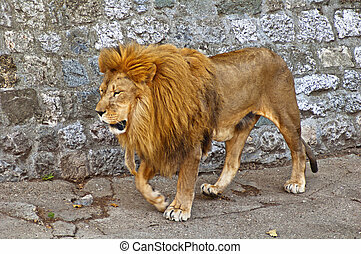 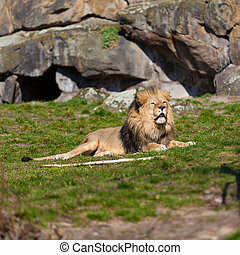 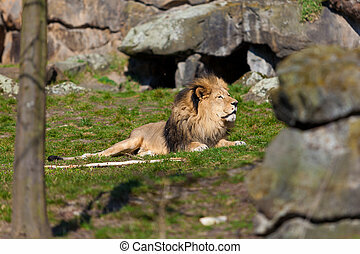 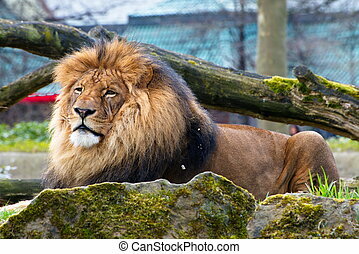 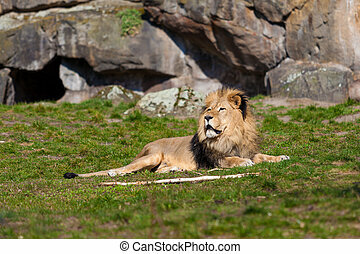 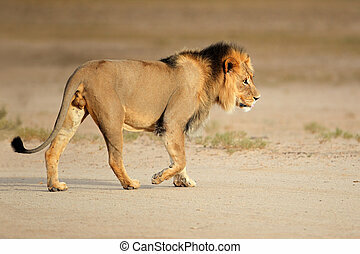 Big male african lion. 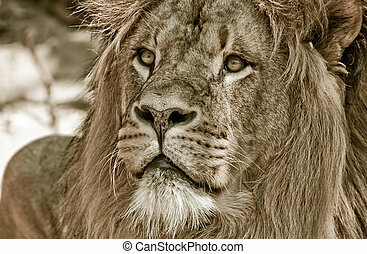 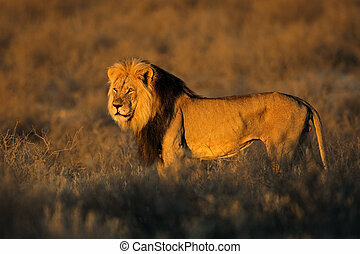 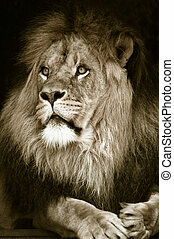 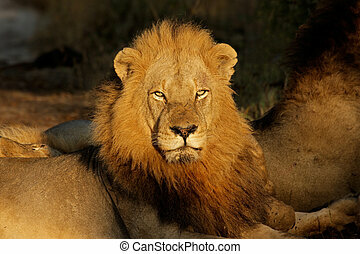 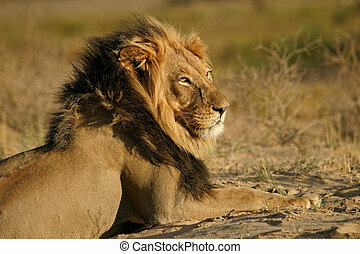 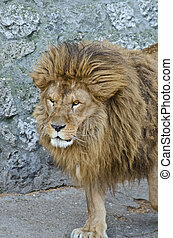 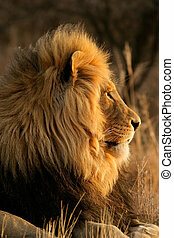 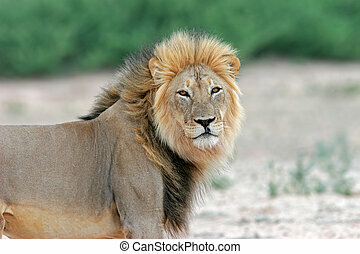 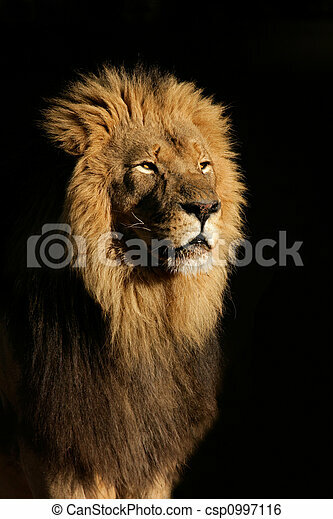 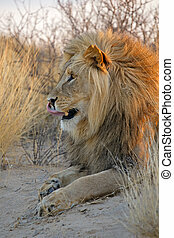 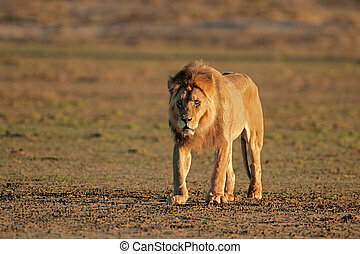 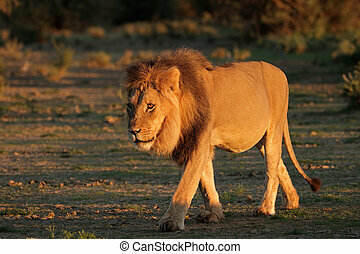 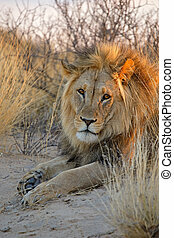 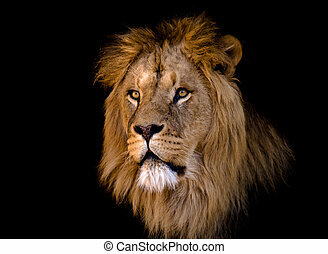 Portrait of a big male african lion (panthera leo), against a black background, south africa. 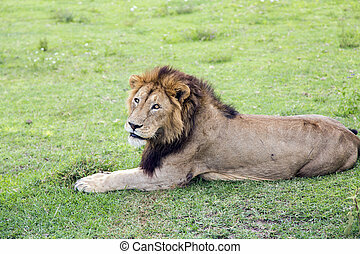 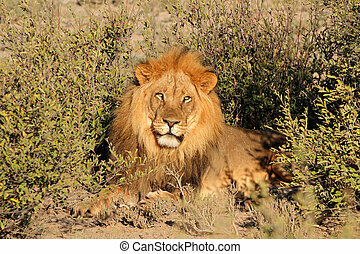 Big male African lion Panthera leo with a beautiful thick mane and scars on the skin resting on a meadow in the Ngorongoro Crater, national park Tanzania.